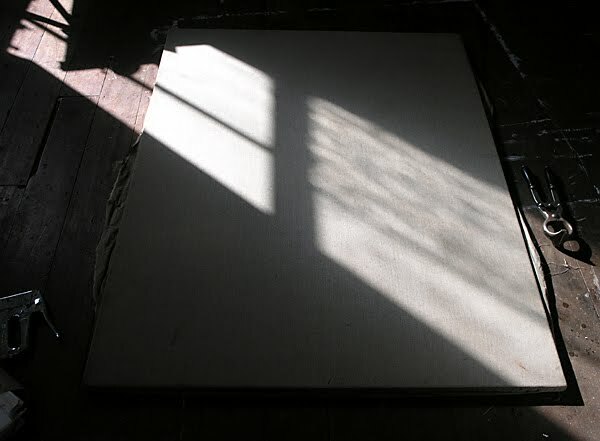 I have been stretching a large linen canvas canvas for a new painting of Anne Holiday. It's the largest canvas I've prepared for some time and I'd forgotten what a difficult and time consuming job it is! I construct my own stretcher frames using timber that I've had beveled on one side. 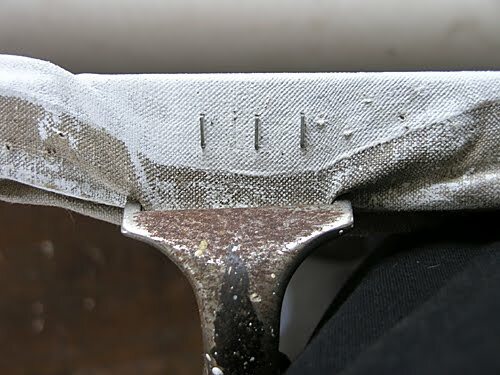 This is necessary so that the stretcher bars will not touch and show through on the surface of the painting. I cross-brace the frame for strength, otherwise it will warp. Stretching linen is always difficult. It's harder to stretch than cotton and in spite of what the experts say, in my experience I have found that it fluctuates more with humidty changes than cotton does. In fact you have to be very carefull not to overstretch it if it is raw unprimed canvas like I am using. 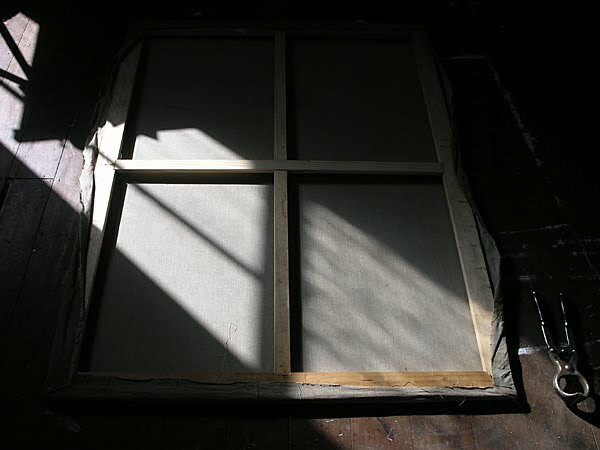 Once the linen is primed with acrylic gesso it shrinks and goes tight as a drum, often distorting the frame and even tearing. I have often read that it is easier to stretch whilst wet, so this time I thought I'd try this method. I found however, that while it was indeed easier to stretch, once it had dried out it went very slack. I thought it might improve once I'd gessoed it, but it was still as limp as a flag in the breeze and useless for painting on. There was nothing for it other than to pull the staples out and restretch it. The photo below shows how much more it stretched, the gessoed line being at the original edge of the stretcher.